Xiaomi, as most of our readers will be aware, is an immensely popular smartphone maker in most Asian markets. In the west, Xiaomi isn’t anywhere near as popular, mainly because the company doesn’t concentrate on the North American and European smartphone markets much at all. Fortunately, Xiaomi has decided not to make consumers in Europe wait for its first Android One smartphone, the Mi A1. The smartphone is now available in a few countries in Europe, promising a great stock Android experience for a much lower price than the Google Pixel 2. In Netherlands, the Mi A1 is already in stock and can be ordered online for 260 EUR. In Greece, the smartphone is priced slightly higher at 284 EUR. In Poland, the smartphone costs PLN 1,300. Those of you who live in Spain can get the Mi A1 for just 228 EUR, cheaper than most other markets. However, the smartphone will not be in stock in the country until later this week. Xiaomi will be launching the smartphone this week in Hungary for HUF 75,000 and in Russia for RUB 19,000. Bulgaria will get the Mi A1 on the 12th for a price tag of BGN 550. In Italy, the smartphone will cost just 220 EUR, but it will begin shipping there only on the 15th. Finally, we have the Czech Republic, where the Mi A1 has been priced at CZK 6,700 and will begin shipping on the 19th of this month. Announced last month, the Xiaomi Mi A1 is based on the Mi 5X but offers a completely stock Android experience, much like the Pixel handsets from Google. You also get the promise of timely monthly security updates as well as major upgrades. Xiaomi has promised that the Mi A1 will soon be updated to Android 8.0 Oreo and will be among the first smartphones to receive the Android P update next year. The smartphone features a 5.5-inch LTPS IPS LCD display with 1080 x 1920 Full HD resolution and Corning Gorilla Glass 3 protection on top. Powering the Mi A1 is a Qualcomm Snapdragon 625 octa-core processor clocked at 2.0 GHz, with an Adreno 506 GPU and 4GB of RAM. In terms of storage, the handset comes with 64GB of internal memory, which can be expanded further by up to 128GB using a microSD card. At the back, you will find a dual 12MP camera setup with 2x optical zoom and 4K video capture. For selfies, the smartphone features a 5MP snapper on the front. 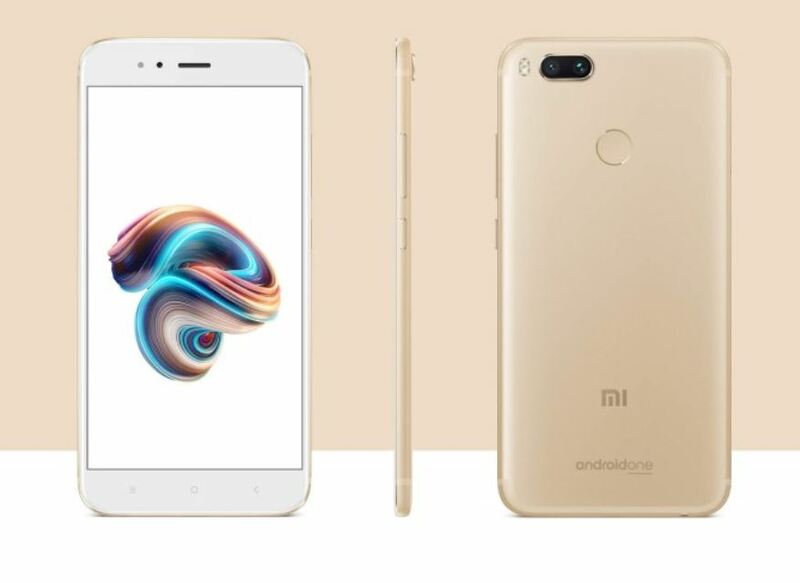 Other key features include a 3080mAh capacity battery with fast charging support, rear-mounted fingerprint sensor, USB Type-C port, and an Infrared port.